The camera switch works on trendsetting, silica-based PLC (planar lightwave circuits) equipped with TO (thermooptic) switches. The innovative and patent pending design guarantees rugged and safe non-blocking fiber plus camera power switching without any moving parts. 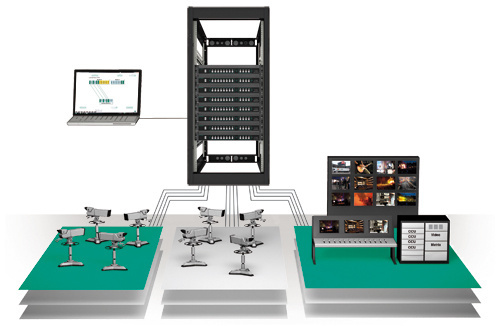 The LAN-based remote control software simplifies work, shows switching and camera status, and enables broadcast production automation.